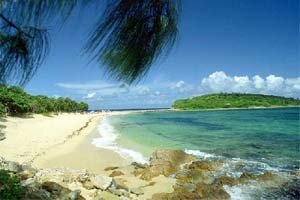 Tanjung Karang can be translated as Cape Coral and, as this name suggests, the sea here is full with coral reefs. 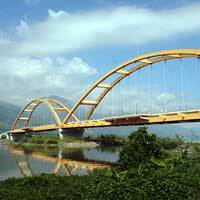 Tanjung Karang is located in the Palu Bay, near the city of Donggala. 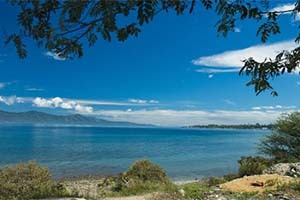 The beautiful white beach here is a favorite destinations for residents of Palu. 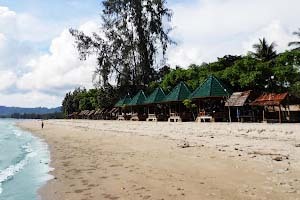 Tanjung Karang beach area is not suitable for surfing as the water is a calm and just small waves. 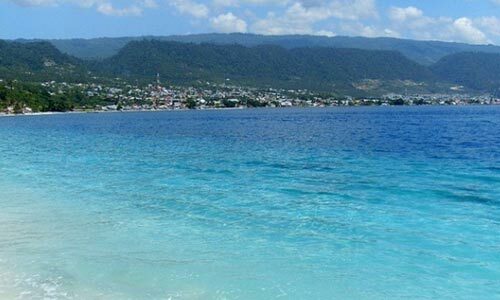 For those who want to dive or go snorkeling this area is very suitable because the water is very clear and the Cape is rich in coral reefs. 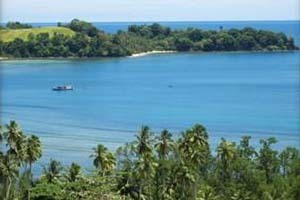 Besides going under water you can you can enjoy the white sand and the open view of the Palu Bay and the Strait of Makassar with large ships going in and out of the Port of Pantoloan and small fishing boats hunting fish in the Palu Bay. 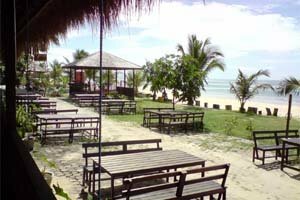 If you are lucky you can see the Karang Island which is located in the Strait of Makassar at a distance of about 11 kilometers from the beach. Coral Island will appear in the middle of the ocean at around 16:00 and will be visible up to several hours. 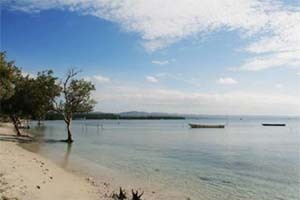 You do not need to bring your own snorkeling equipment; you can just rent it at the beach for only Rp 10,000. 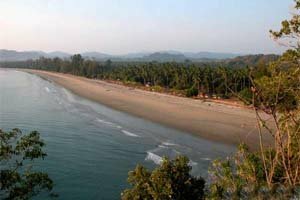 The coral reefs are only about one kilometer from the beach. 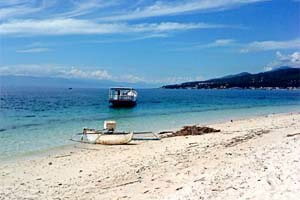 At the beach you can also go by boat designed specifically to see the coral reef. Cost is only Rp. 50,000 per group. The boat route includes Anchor Reef, Natural Reef, Green Wall, Irmis Block, Alex Point and Rocky Point. In the area you can also find a coral reef formed from the remains of war ships at a depth of 40 meters. 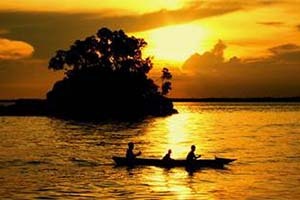 It is located about two kilometers south of Tanjung Karang to the Port of Donggala, ask local for the exact locations. 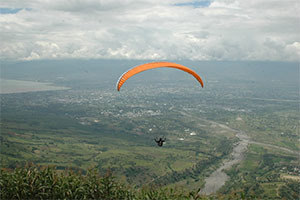 Look for more Cheap Flights to Palu.